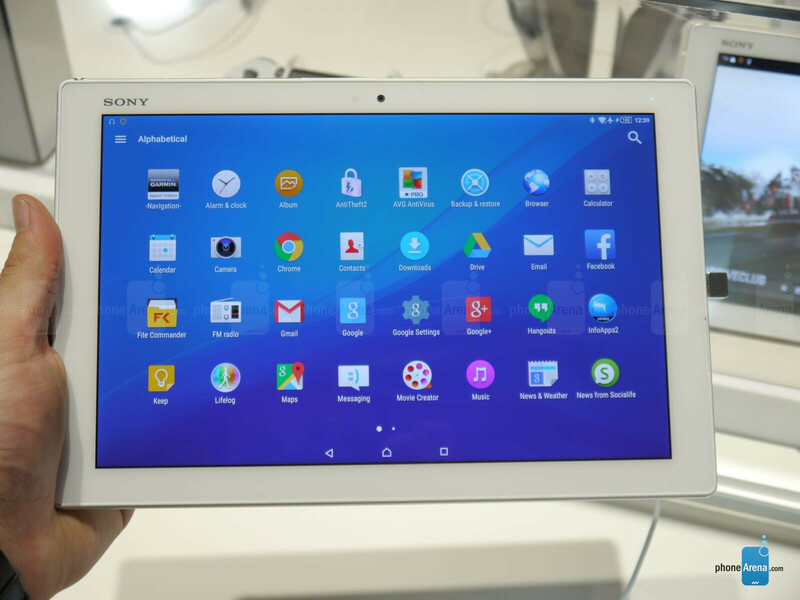 Sony almost made us fall in love with its most recent tablet, the water-tight Xperia Z3 Tablet Compact. 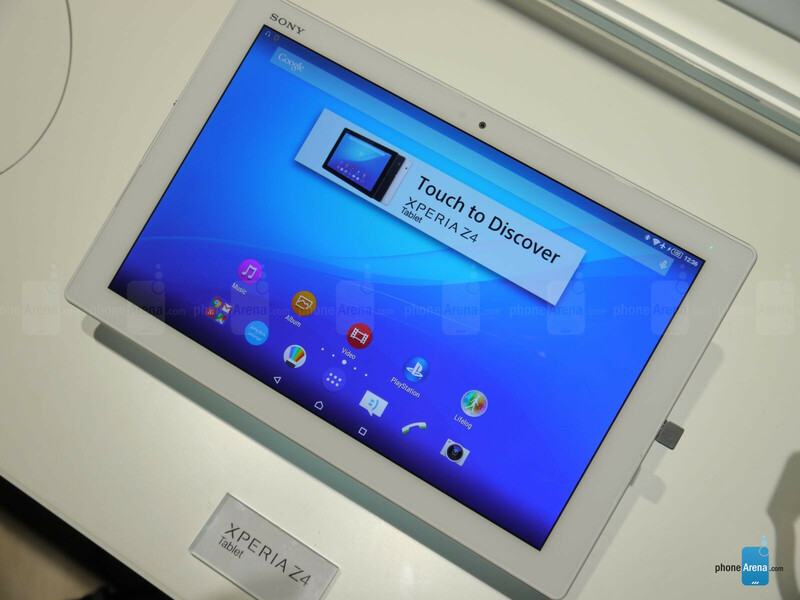 But Sony has a new kid on the block, the brand-new Xperia Z4 Tablet that was announced at MWC earlier today. 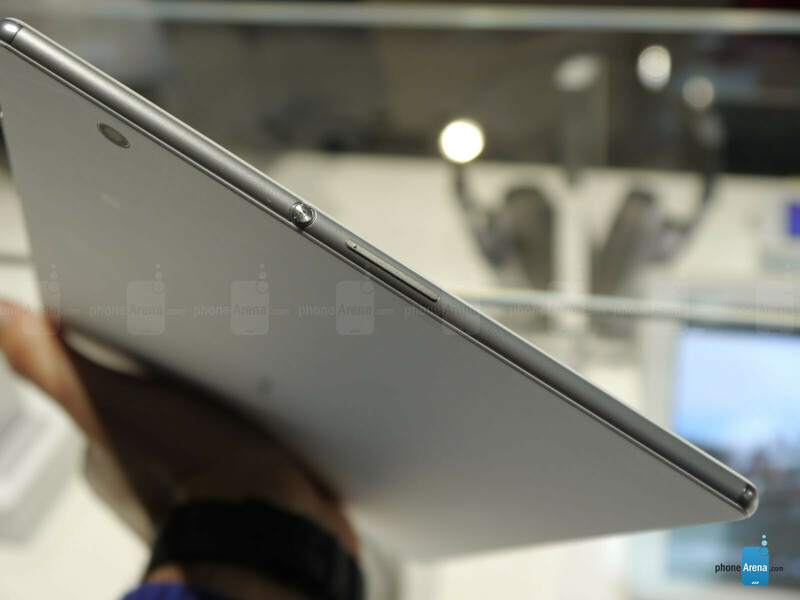 From the get-go, we are dealing with a large, 10.1-inch slate that is touted as being the slimmest tablet in the world right now, beating its rivals by a pretty small margin while still pertaining the waterproof feature that has been a standard for Sony's more recent devices. But is this a recipe for success? 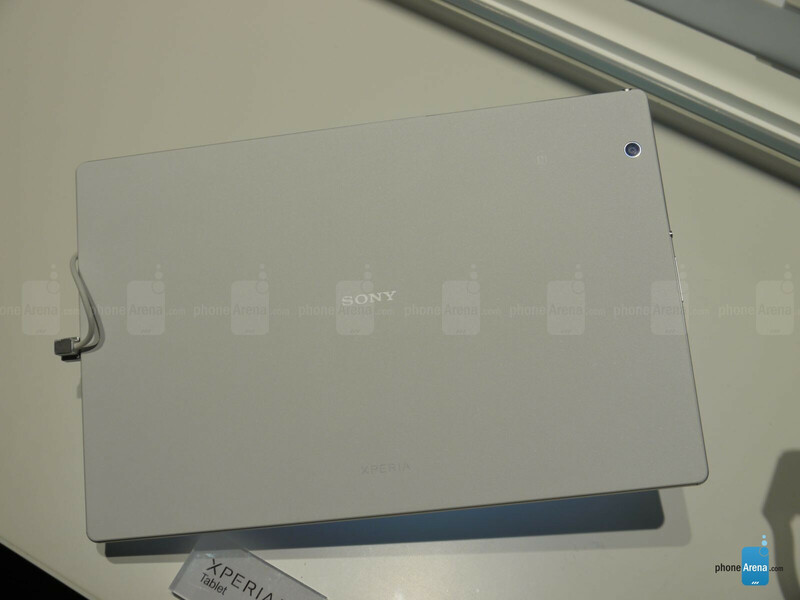 As we mentioned, the Xperia Z4 Tablet is a pretty thin tablet - at just 6.1mm thick, it boasts the same thickness as the Apple iPad Air 2, but we assume that Sony is aware of that. As a result, we suppose that the Japan-based maker has made its newest slate just a hair thinner than the latest Cupertino tablet. 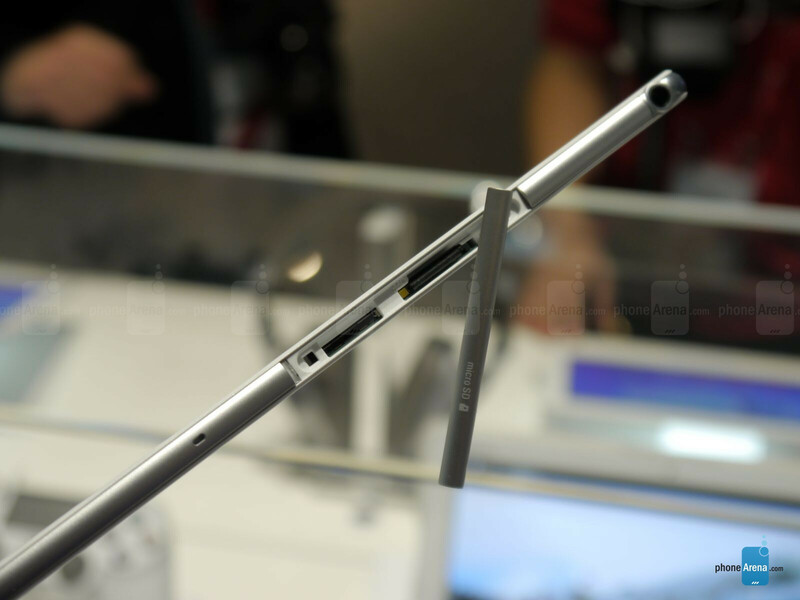 The Xperia Z4 Tablet is thin, but quite large as well - after all, it flaunts a 10.1-inch 2K display up front. Still, it's ultra light, tipping the scales at merely 389gr. As far as build materials are concerned, the tablet is made of plastic, but don't avert your eyes just yet! It's not among the best-looking tablets we've seen, but the plastic used for he rear is pretty comfortable to the feel, somewhat resembling the "glam" cover of the Samsung Galaxy S5. 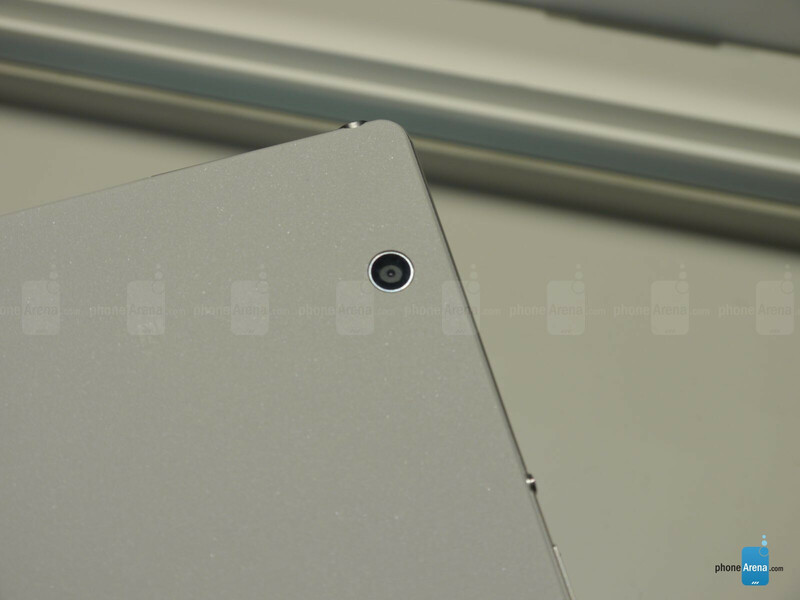 It also strikes us that the tablet has some quite large bezels - normally, these allow you to comfortably hold the slate and rest your thumbs on the frames, but not just everybody will instantaneously fall in love with the design of the tablet. As a whole, it feels like a solid, well-built gadget. As we mentioned, we have a 10.1-inch display up front, with a resolution of 2560 x 1600 pixels. 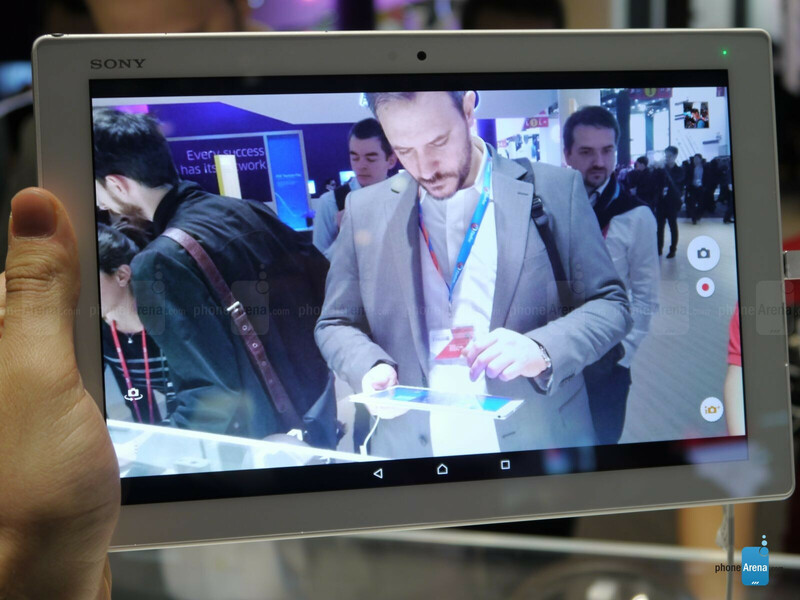 The Xperia Z3 Tablet Compact had a hate-it-or-love it display with a pretty high maximum brightness yet quite color-inaccurate, and we are hoping that Sony has learned its lesson and put a better screen inside its new slate. It seems that this might be a fact, but we will refrain from making assumptions before we've measured the display - after all, we've been handling display units, which might differ from the final version. 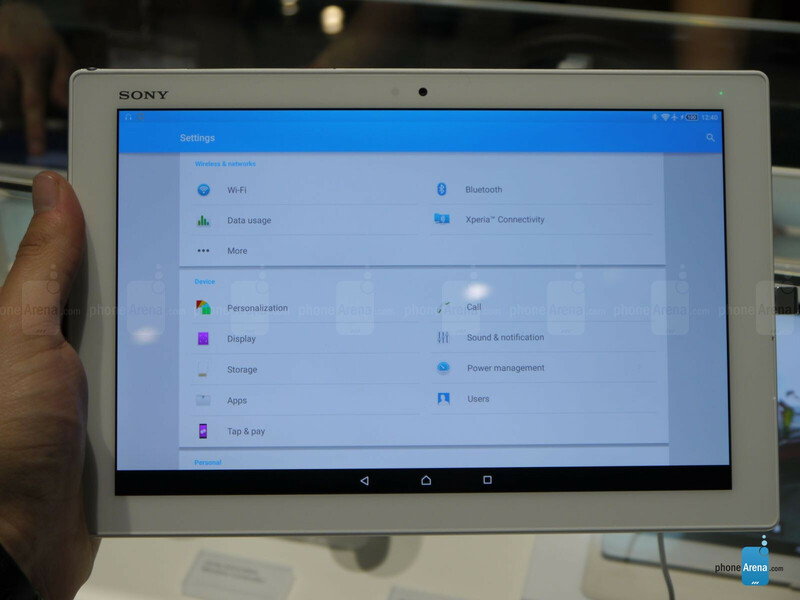 The Xperia Z4 Tablet is powered by the sweet new take on Android, 5.0.2 Lollipop. We have Sony's minimalistic UI running on top, which was expected. As usual, Sony's UI offering is not among the more feature-packed ones, but it's as lightweight as it gets. We suppose that Sony will focus on the multimedia features of the tablet, just like it did with the Xperia Z3 Tablet Compact and the Xperia Z2 Tablet. 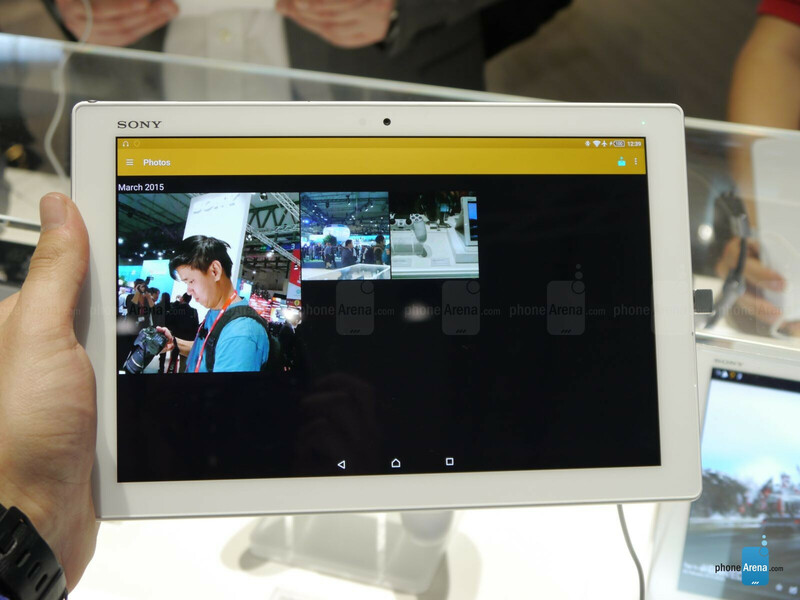 Sony has put a powerful 64-bit Snapdragon 810 octa-core chipset inside its new tablet, making it one of the first slates to come with the top-tier Qualcomm silicon, recently overshadowed by the Snapdragon 820. The silicon works seamlessly in concert with 3GB of RAM. Just as you might imagine, we are dealing with a powerful and respectable hardware setup not only as per tablet, but per smartphone standards as well. From the get-go, you will be able to make use of 32GB of native storage. If this is not enough, you can always insert a microSD card in the on-board slot and enjoy your increased storage capacity. At the back, we have a pretty size-able 6,000mAh battery at the back - considering that the Xperia Z3 Tablet Compact with its 4,500mAh juicer was a long-lasting trooper, we can only imagine how long this new Sony will last. We won't be surprised if its breaks a record or two. Cameras have never truly been the highlight of any tablet, but alas, it's a feature that has to be mentioned nonetheless. In particular, the Xperia Z4 Tablet comes with an 8MP rear camera that is touted as being promises to deliver in both good and dark lighting. In the meantime, we have a 5MP selfie snapper at the front of the tablet. There is no flash at the back (unfortunately), but we suppose that Sony has something up the sleeve of its tablet to live up to the claims of the improved low-lighting performance. 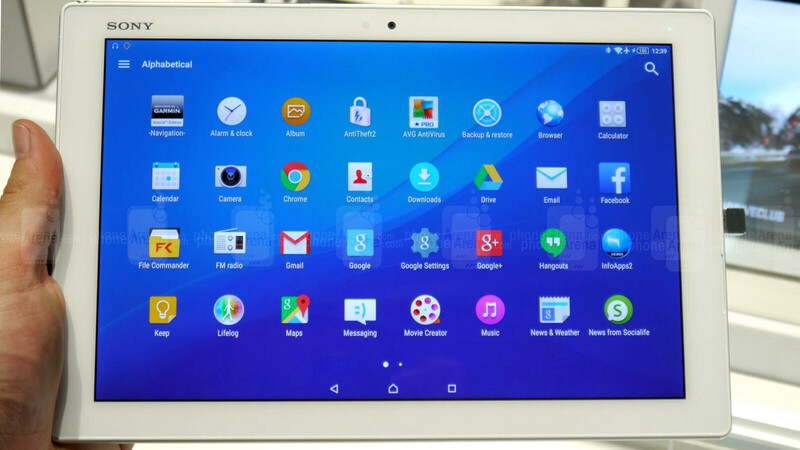 Sony has gone the safe way with the Xperia Z4 Tablet. Similar to the previous tablet offerings of the Japan-based maker, it's a streamlined and polished, well-built tablet that seemingly has the right properties to make us fall in platonic love with it. We'll have to spend more time with it before we can confirm this, but from the looks of it, Sony is on the right path. No doubt that this is Better than that Apple iPad junk. You are just a stupid Apple fanboy. I'm bookmarking this page. This is the first time I've been honored to be called an Apple fanboy. Only look like an oversized iphone.. This tablet looks great. But there is a reason iPad is the king of the hill. iPad has unparallel amoung of tablet optimized apps and it also has various kind of accessory to complement its functionality. No android tablet can match ipad in terms of functionality and flexibility. Agreed for the app ( even if developpement of tab app on ipad is almost non existant now ) they do have more but google closing the gap. For the rest well i dont need ton of useless accessory just a simple case with keyboard. I also prefer to have waterproofing and dust proof as i usually let my child use my tab. So i completely disagree with the last comment an android tablet can in fact be better in term of flexibility than an ipad. Many iphone app wont work on an ipad btw as they dont have an iphone version. But on my android i can use ALL the app of the market with no such limitation. You can have a break dancing battle on these bezels. I guess it's impossible to do, but I'm sure that the bezel will provide comfort and security when you're holding it, especially if you're holding it with one hand. and make it harder to bend... ipad is really flexible! "OMG THE SPECS ARE GOOD! MUST.EXPRESS.HATE.FOR.SONY.... OOOH I CAN TROLL ON THEIR BEZELS!" Man, I laughing really hard right now. God I love this website. It's the same guy who expressed his hatred towards trolls couple of times but now he is the one who keeps trolling Sony articles. Trolls think their little effort on the web pages like this will help their preferred companies. They are so detached from the real world that I think they don't understand anymore how real world works. Design is something personal you like it or you don't. Looking to sell their phone division is just a rumor. Xperia s wasn't the same since the z they used omnibalance design language. Since the z ultra they used ips if im not mistaken. The z2 and z3 used ips for sure. Great camera -> bad auto mode Not controls as they have a camera button. Tft is fixed as i mentioned before. Poor color reproduction? Z2 had very good color reproduction but sony intentionally made it colder as the whites look better. I prefer that as i changed my z2t settings to a colder temperature. If you don't you can change that 2 on the z3 series. Brightness and outdoor visibility? What are you smoking? Working in a cellshop here. Z2 and Z3 use high quality IPS screen. Only Z1 was TFT of the 3 model we got. Another Sony tablet that pretty much looks the same as all their tablets, this time it's made of plastic, which keeps the Sony fanboys quite about the material used. Sony just bumps the specs and adding no new feature and the ui still looks the same from 2013. Sony is just lazy now, I just hope they make alot of changes to the z4 because the z3 was almost the same as z1 and z2 with just minor changes. "his time it's made of plastic" Funny I could've sworn it used a metal frame and mineral glass screen. " ui still looks the same from 2013. " Did you miss the part where it has a new 'start bar' for multitasking? "z3 was almost the same as z1 and z2" Yeah because the Z1/Z2 has speakers cut on the glass, white face plate on white body and chiseled corners. But you knew all this stuff, right?